In this episode the Gersch and I spend a good chunk of the podcast talking about skateboarding. 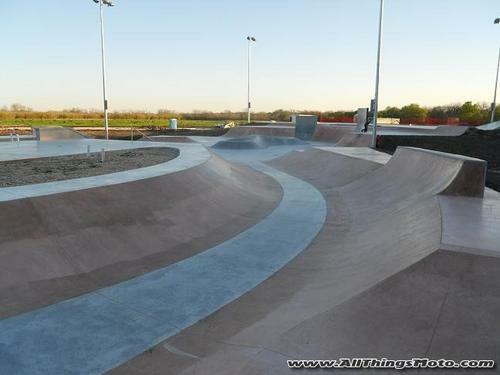 The picture above is of the newly opened skatepark in Pflugerville, Texas. It’s just north of Austin and pretty close to where I live. This place is awesome. I will make more trips here when the hype dies down a bit. It’s just a little to crowded for me right now. There’s lots of good music on this episode as usual. You can find the audio at Podomatic, Radio Casbah, or iTunes by searching for Save It For The Breakdown. Thanks for listening. Enjoy the podcast.